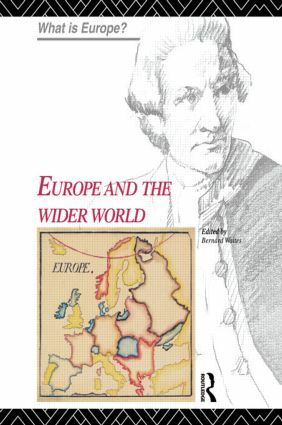 This book examines the concept of Europe in its relations to those areas of the globe beyond its borders. In particular it is concerned with the historical evolution and contemporary setting of Europe vis-a-vis The United States of America, the developing world and the former Soviet Union. This involves drawing on the perspectives of international history, politics and economics. A unifying feature of the analysis included here is provided by the fact that the "bi-polar world" that emerged in the aftermath of the Second World War has effectively been brought to an end with the collapse first of Soviet control in Eastern Europe, and then by the break-up of the Soviet Union itself and a prospective reduction of American influence in western Europe. What will Europe look like in an increasingly "multi-polar world"? An answer to this depends not only on the evolving external connections between Europe and other parts of the world but also on the internal development of European political and economic integration. The dynamic of this crucial dual relationship is examined here.